The Maldivian government says it will rescind the notice sent by Male’ City Council to tenants at Sinamale’ and Male’ Hiyaa housing units in Male’ City and Vilimale’ to make one-off payment for the reminder of their lease amount. The Cabinet, this Sunday, advised President Abdulla Yameen Abdul Gayoom to transfer the mandate for the Sinamale’ and Male’ Hiyaa housing units from the City Council to the Ministry of Housing and Infrastructure. City Council had sent notice to tenants at Sinamale’ and Male’ Hiyaa housing units to pay the reminder of their lease, maintenance fees and fines for overdue lease payments in a one-off payment within three months. Some of the tenants have been sent notice to pay hundreds of thousands of Maldivian Rufiyaa. 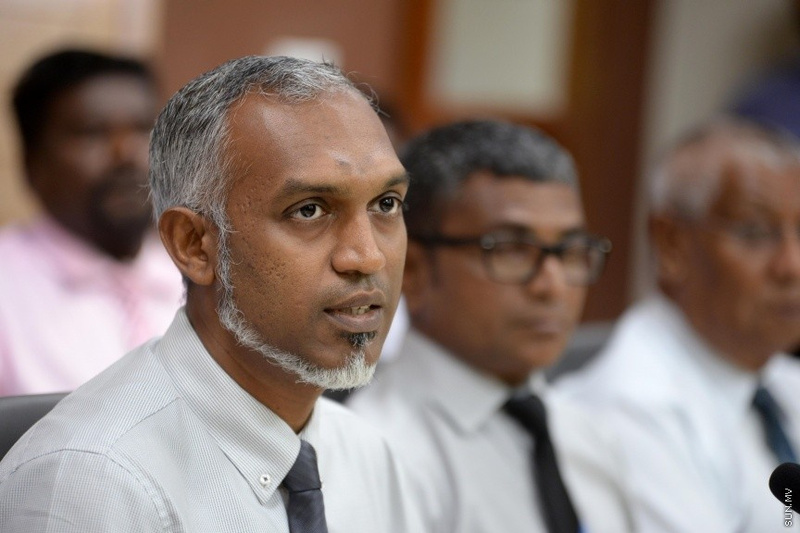 In a press conference held at the President’s Office this Sunday, Minister of Housing and Infrastructure, Dr. Mohamed Muizzu said the City Council has spent years without collecting the lease. Muizzu said the government has made the decision to rescind the notice, and arrange for more convenient payment options for the tenants. “Forcing citizens to make a one-off lease payment in such an alarming manner is undue use of the opportunities available under decentralization. Such actions will not be accepted by this administration. We will not allow such injustice, coercion or distress to affect citizens,” said Muizzu.